This post is very profound, honest, and genuine. Thank you putting the ring of T1D into words so eloquently. Thank you for your words. It is so true. I'm sorry for the burden your whole family has had to take on, but you do a beautiful and wonderful job of taking care of Elise, Mattias and Fred (and Seven!). You are amazing, and I cannot look up to you any more than I already do. Plus, you're a heck of a writer... I may not understand a lot of what you're saying when it comes to the details, but I enjoy the way you write it. The Clarks are always praying for strength for you guys, and definitely for a cure someday (soon!). Love you guys! this was an amazing post! thanks for sharing it! The "lonliness" one got to me the most. I have always been a "social" gal and really...the reason I started Beta Buddies was so that the rest of the world would "get" me . I was feeling terribly alone. Who would've thunk I'd make a whole new posse of friends that really "get" it. BTW...not only am I Portuguese, but my hubby and I are huge LOTR fans!!!! We even watch the making of the movies time and time again (actually we were in the middle of that long production when Joe was diagnosed over 4 years ago...I had a hard time getting back to watch it due to the bad memories it stirs up just by the timing of everything). Great post, as always, Jo! I dont know LOTR... but this is so perfect that I may just have to check it out. Everything you said... I so get it. You know what gets me the most? Not the lack of sleep, not the effect it has on relationships, not the money.... it's the "passing the ring on". I hate that with every ounce of my being. I wish it would forever be "MY RING". Great post, Jo! Would you please break this post into a 12 night mini-series? I NEED some new reading material and I have discovered your style really captures my attention (hard to do!) so I gratefully requests you write some more. Please? Your words and sentiment dance across the screen. Thank you for spending the time it took to package up the nasty story line and make it a pleasure to read. Exactly. Perfect comparison! 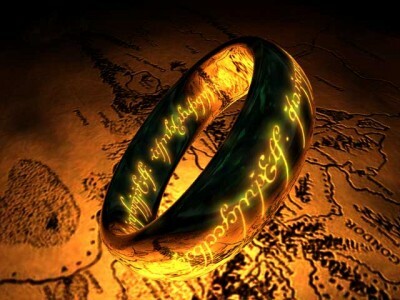 If there was a way for us all to go on an epic adventure to destroy our ring, I would so be there...you know it Joanne. Wonderful post. I totally understand what you mean. I am 30 weeks pregnant and I got so frustrated with this stupid disease that I did just sit down last night and had a good cry. It is so overwhelming, especially when you are really putting forth the effort to get it right and it screws with you anyway. You are not alone, that is for sure! I believe someday we will get to destroy that ring...and hopefully before we ever have to pass it on. Until then, you are doing a great job as a mama pancreas. Just discovered your blog from sixuntilme and irunoninsulin. And what perfect timing. I am currently re-reading LOTR (also a big fan). It is a really bittersweet analogy. And also thank you for pointing out the struggles that moms go through. I often forget everything that my mom dealt with me when I was newly diagnosed. @ Elizabeth - thanks for your comment. I often wonder what Elise will think of how I cared for her years down the road. Did I too a good job? Was I too overbearing? Did I let her be a kid first and diabetic second? I really struggle with these questions.